Food, by nature, is perishable. Without intervention, food falls victim to the forces of nature, namely bacteria, yeast, and fungus, and begin to degrade. The effects of food spoilage are not only unappetizing, but the agents of spoilage can also cause foodborne illnesses or even death. For thousands of years, humans have been using various methods to prolong the freshness and safety of their food to stabilize their food supply. While some of these methods are relatively new, many of them date back to ancient times. We may have refined the processes and come to better understand the mechanisms, but the basic concepts remain the same today. 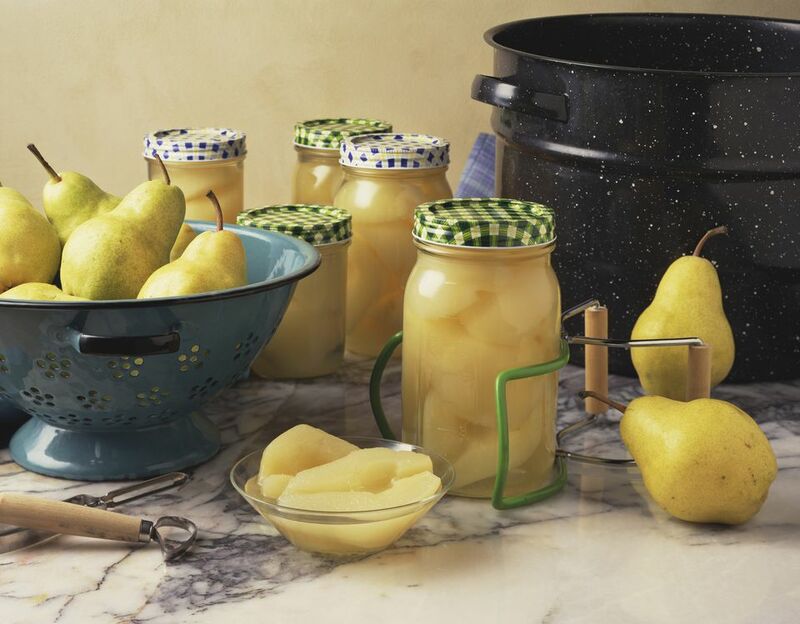 Here are a few of the most common ways to preserve food. Bacteria and yeast grow best at specific temperatures, usually between 40 F to 140 F. By lowering the temperature below 40 F their metabolic and reproductive action is significantly slowed. While this may not kill the bacteria and yeast, it does slow the spoilage process. Although freezing food has been used in colder climates for hundreds of years, the expansion of electricity and home appliances in the early and mid-20th century greatly expanded the use of freezing as a food preservation method. Canning preserves food by removing the oxygen needed for most microorganisms to grow. Since some organisms can flourish in the absence of oxygen, canning is usually combined with a second factor that inhibits microbial growth, like acid or salt (usually in the form of a brine). Canning became a popular method of food preservation with the industrial revolution and is still quite popular today. Most microorganisms also require moisture to grow, so removing the moisture from food is a very effective method of preservation. The key to dehydration is to complete the process faster than the spoilage occurs. Evaporation is usually quickened with the addition of moderate heat, sometimes provided by natural sunlight. The bonus of sunlight are ultra violate rays, which also serve to kill microbes. Modern methods of dehydration use circulating air that is heated just enough to promote dehydration without "cooking" the food. Dehydration is the method of food preservation used for meat jerky, dried fruit or fruit leathers, and herbs. Fermenting is another ancient technique of food preservation that has remained popular to this day. The popularity is most likely attributed to the unique flavor that is accrued through fermentation. Fermentation itself is a form of food spoilage, but when the microorganisms are tightly controlled, it can produce desirable effects and provide safeguards against harmful organisms. The bacteria or yeast used in the fermentation process produce acid as a byproduct, which acts to prevents other, potentially harmful bacteria from thriving. As a bonus, many of the organisms used to ferment foods are also healthy additions to the natural flora of the human gastrointestinal tract. Both sauerkraut and kimchi are examples of the use of fermentation to preserve cabbage. Salting preserves food by removing the moisture and creating an environment unsuitable for microbial growth. Very few bacteria grow in high salt solutions, so simply adding a very high amount of salt can be an effective method of preservation. Salting is one of the oldest known methods of food preservation. Natural sea salts abundant in the Mediterranean region were readily available in ancient times and were used to preserve meat, fish, vegetables, and even some fruit. The amount of salt alone needed to preserve food is extremely high and therefore can be unpalatable. Therefore, salt is often used in combination with another method, like dehydration or an acidic solution, to preserve food. Examples of salt-preserved foods include hard salamis, bacon, salt pork, smoked fish, anchovies, olives, pickles, and preserved lemons. Does Refrigeration Prevent Bacterial Growth in Food?